Machine learning is a powerful tool for not only coming up with new strategies but also for improving your existing strategies. In this article, we’ll cover improving position sizing using a random forest algorithm and when to turn off your strategy on an off using a Hidden Markov Model. You can download the R code here and the same set of historical trades here to recreate the following results. Position sizing is an important, often overlooked aspect of trading. Many traders look at position sizing as a way to decrease downside risk without seeing it as a tool to increase performance. While it is important not to risk too much of your total account on each trade (usually around 2%), there are far better ways than just using a fixed lot, or fixed percentage, position size for each trade. One logical train of thought would be to enter a larger position when your trade has a higher probability of success and a smaller position when you are less sure about the trade. 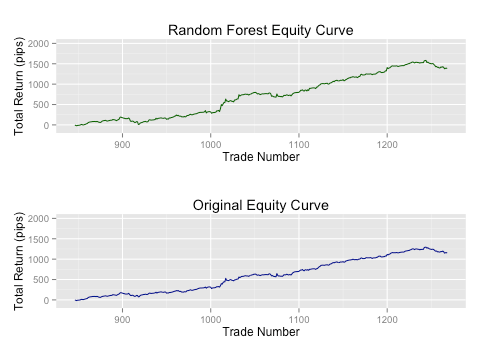 Using a random forest, a popular machine-learning algorithm, we can estimate the probability of success for each trade and size accordingly (never risking more than 2% per trade of course). I went into greater detail on using a random forest to build a Bollinger Band-based strategy for the GBP/USD and we can use a similar approach to help us determine the optimal position size. Inputs: Volatility, trending or sideways market, etc. If you notice your strategy goes through periods when it performs well and periods when it underperforms, this is probably the way you want to go. Inputs: major news announcements, holidays, Mondays/Fridays, etc. While some traders will avoid trading around these “external factors”, testing to see if this is justified is usually a good idea. Wow! We were able to get a 20% increase in total return and increase our return per trade from 2.8 pips to over 3.3 pips just by using this fairly basic model. Not bad at all! Knowing when to start and stop trading can mean the difference between success and failure. However, determining when to “turn off” your strategy is a non-trivial task. Once again we can use a popular machine-learning algorithm, known as a Hidden Markov Model (HMM), to determine market regimes where our strategy underperforms and we should stop trading. (We used a similar technique in a previous post using an HMM to identify market conditions). Let’s try using two calculations based off of a 10-period simple moving average (SMA) of our equity curve. 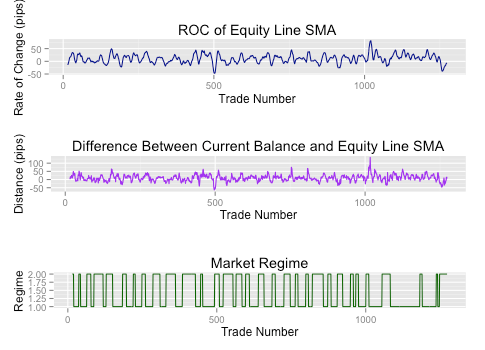 We are going to look at both the rate of change over 5-periods and the distance between the current balance of the equity curve and the SMA line. The rate of change (ROC) should tell us if our equity curve is in a general downtrend and the distance between the lines should give us a much more sensitive measure of how the strategy is performing. Once again, we see a significant increase in performance! We were able to see a 13% increase in return despite decreasing our number of trades from 1259 to 726, almost doubling our return per trade from 2.1 pips to 4.2 pips, and increase our accuracy from 60% to 67%! 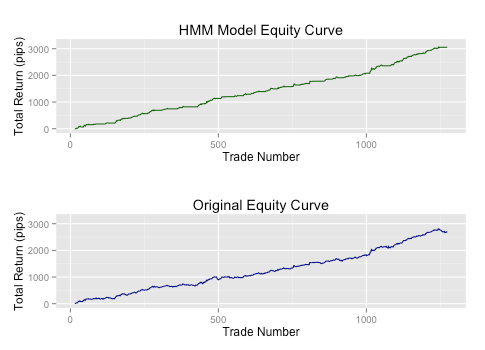 By both adjusting our position size based on a random forest model and halting trading when conditions were unfavorable we were able to significantly increase the performance of our strategy. The final return was 44% higher despite having 133 less trades, leading to our return per trading jumping from 2.7 pips to 5.7 pips and the accuracy increasing from 64% to 70%. Machine learning algorithms and techniques can be a powerful weapon in your arsenal when looking to improve the performance of your strategy. Inovance has helped hundreds of traders develop profitable strategies with their cloud-based platform, TRAIDE. 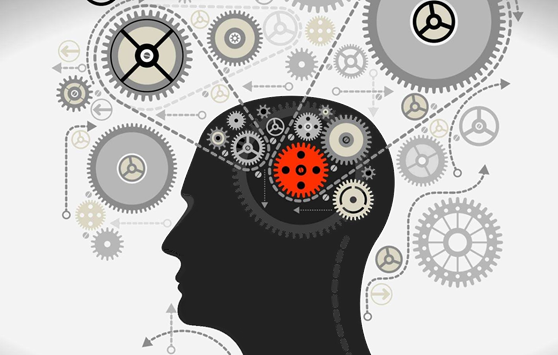 Traders select the indicators for their strategy and TRAIDE uses machine-learning algorithms to analyze them. Traders can then generate the code for a fully automated strategy to trade on their own platform. TRAIDE is free to use so get started HERE. Is this a recursive model? In the CSV sheet, we already have trades but I would like to predict these trades and modify position sizing accordingly. Could you guide on this.